Item Identification This listing is for one piece of original comic book art. 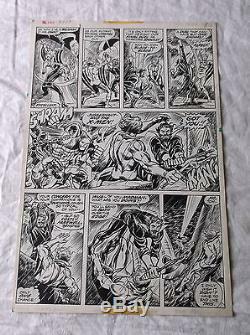 Series : Uncanny X-men Issue # : 103 Feb. 1977 Artist : Dave Cockrum (Sam Grainger is also credited as the inker for this issue) Page : 30 (next to last page of the story) Size : Approx. 16 inches by 10.65 inches. Additional information : I bought this page from Graphic Collectibles at a large NYC comic book show/convention in early 1991. 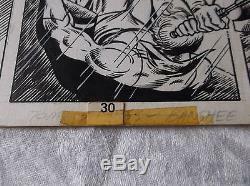 Condition Narrow yellowed tape piece along top edge near the center. 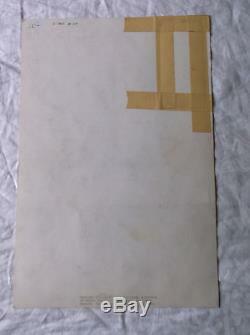 Narrow yellowed tape piece along the bottom edge near the center (holding the page number identifier in place). Mild bumps at the corners. Some additional very mild edge wear. 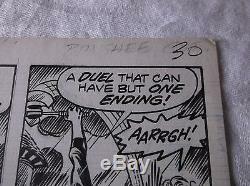 First panel was edited/altered before publication. 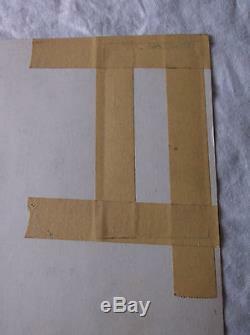 That panel is slightly raised on the front, and supported on the back with masking tape. 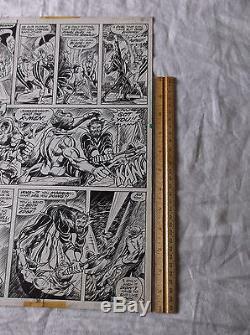 (current panel is consistent with published page, perhaps an editor requested an adjustment to the art) Some scuffing on the back. 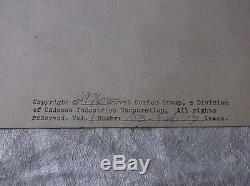 Price and issue identifier at upper left on back cover. Addresses only for this item. The answer to Will you sell this now for. Thanks for looking, good luck. 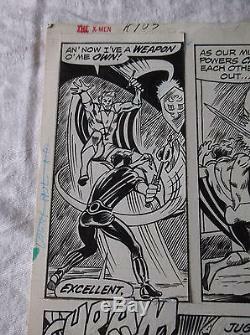 The item "Uncanny X-Men No. 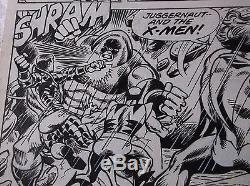 103 Original Comic Book Page Art by Dave Cockrum Juggernaut" is in sale since Sunday, July 31, 2016. 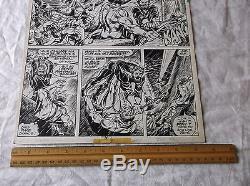 This item is in the category "Collectibles\Comics\Original Comic Art\Interior Pages"." and is located in Brownfield, Maine. This item can be shipped to United States.